OpenStreetMap (OSM) is an open, collaborative project to create a free editable map of the world. OSM is built by a community of mappers that contribute and maintain data about roads, trails, buildings, restaurants, and much more. Many ArcGIS users are active contributors to OSM, using popular OSM editors or the ArcGIS Editor for OSM to share their data. Many ArcGIS users are also active consumers of OSM, using the map in their web maps and apps or the data for their mapping and analysis. For many years, Esri has included OpenStreetMap as one of the default basemaps in ArcGIS, which has been quite popular. The basemap references a raster tile service hosted by the OSM Foundation that is updated frequently as contributors make edits to OSM. Over the past couple years, Esri has introduced basemap options using vector tile layers, which offer several advantages such as the ability to customize the map. Until now, there has not been an option to access all of OpenStreetMap as a vector basemap in ArcGIS Online. 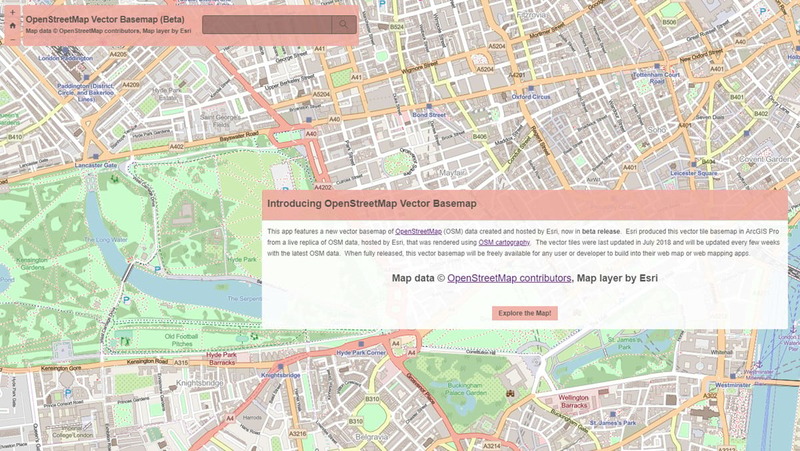 This summer, Esri is introducing a new OpenStreetMap Vector Basemap. The map will be built using OSM data exclusively. It will be hosted by Esri and updated frequently over time. 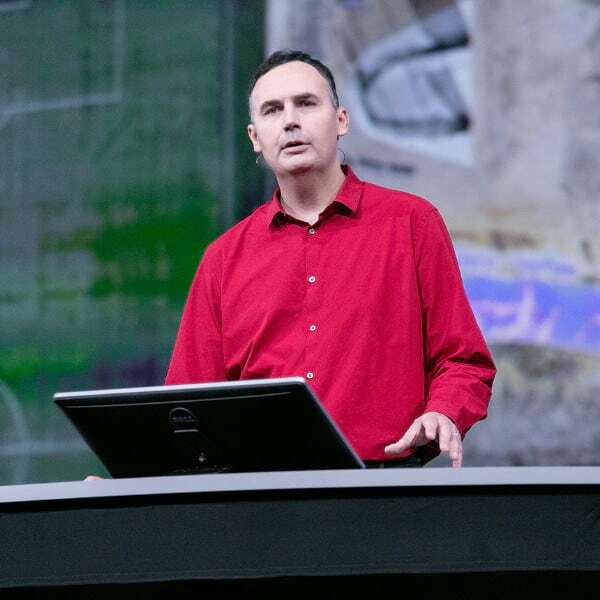 Best of all, it will be freely available to all ArcGIS Users. In fact, it will be freely available to any user or developer that would like to use an OSM vector basemap in their map or app! This week, we are sharing an initial version of the OpenStreetMap Vector Basemap, which you can explore through this web mapping app. The map is now available in beta release, meaning it’s available for you to use and test in your maps and apps but you shouldn’t use the map or related items in a production application yet. Over the next couple months, we’ll update the vector basemap regularly with the latest OSM data. We’ll also continue to refine our use of the OSM cartography to improve the map display and performance. Lastly, we’ll make some updates to our apps to take full advantage of the new OSM vector basemap, such as enabling proper display of attribution and style customization. Once we wrap up this beta release (planned for the September update to ArcGIS Online), we’ll integrate the new OSM map into our gallery of vector basemaps so it’s accessible to all ArcGIS apps that use them. We encourage you to explore the new OpenStreetMap Vector Basemap that is available as new items (app, map, layer) in this ArcGIS Online group. Feel free to share your feedback or questions in the comments on these items and we will reply. Join us this week at one or more of the Living Atlas workshops at the Esri User Conference to learn more!